comptonsgravysalt.com | Where can I buy Comptons Gravy Salt? Where can I buy Comptons Gravy Salt? 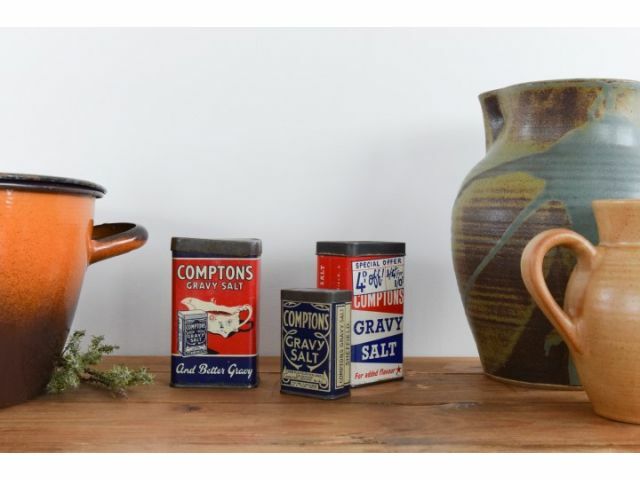 It may have been around since 1925, but it’s even easier than you think to pick up a pack of Comptons Gravy Salt. Prefer to shop in Morrisons? You’re in luck because you’ll find our favourite cooking ingredient with the other cooking and table salts. Can’t find it when you head to your local Morrisons? Make sure you ask a member of staff so they can point you in the right direction. Comptons Gravy Salt is also available to buy online too. Comptons Gravy Salt is sold at larger Tesco stores around the UK. You’ll find us on the aisle with the salts, herbs and spices. Prefer to do your big shop online? Add a packet of Comptons Gravy Salt to your virtual shopping basket and it will be delivered directly to your door. We recently received a message on our Facebook page asking whether Comptons Gravy Salt could be used to season turkey ahead of a family Thanksgiving meal. You guessed it - this message was sent from the USA. Comptons Gravy Salt is the secret ingredient to the traditional British Sunday roast, but what happens if you decide to move abroad? The British Corner Shop stock over 10,000 products that expats find they miss when they move away. As well as your Heinz Baked Beans and Cadbury’s Dairy Milk, you can also pick up a pack of Comptons Gravy Salt too. Now you can enjoy the taste of home wherever you are in the world. Comptons Gravy Salt is not just for Sundays. Find out how you can use our favourite ingredient in a variety of ways here. We also have a network of wholesalers who supply to a range of shops around the UK. If you would like a list of wholesalers please get in touch via our contact page.